My teacher told me she thinks I have the potential to go on pointe sometime this year or the next. 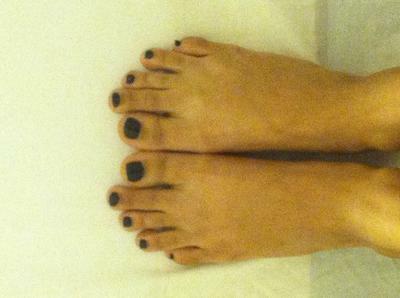 I have a really big concern on my toes because my second toe is longer than the first. I know that for some girls it's not a problem because its only a slight difference. Can you tell me if this is an extreme difference? Will I still be able to dance on pointe? Thank you for contacting me and the picture is very helpful for me to see your exact foot shape. I can see that your second toe is quite a lot longer than the rest, but I still think you can dance in pointe shoes and find a way to what suits your foot shape best. By taking extra care to what type of pointe shoe you buy will help, as you have to be absolutely sure the fitting is correct for all the length of the toes. For me, my big toe is much longer than the rest so I find I need to wear the gel ouch pouches because that is what protects my toes the most and takes the pressure off my big toe. It doesn't make an extreme difference for me, but just sometimes if I have been dancing on pointe for a few hours then my big toe might be the first one to get sore. For you, you will have to experiment with what feels most comfortable for your toes. You can try wearing animal wool, ouch puches or putting tape on your toes, but mostly make sure you feel they are well protected. I haven't got a second toe longer, so I have not felt the difference, but I am sure it should not be a major one. 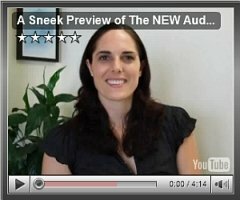 You can always look at the pre-pointe video above, where Lisa Howell gives the most crucial advice for aspiring dancers on pointe. It will give you a chance to focus on all the other aspects you can strengthen on pointe, so that you are less vulnerable to feel any additional pain on your second toe. Yes I would say your foot shape resembles closely to a Grecian foot, as especially on your right foot your second toe is slightly longer than your first toe. I suggest your foot shape suits a square box, as you want to make sure the width is wide enough for you to spread all your toes evenly. Also make sure your shoes fit the length of your second toe, not your big toe. It is absolutely cruical you have a pointe shoe which fits your foot shape, so make sure you ask all the advice off your teacher and the pointe shoe fitters when you go to buy your shoes. It takes time to experiment and find the right fitted shoe. Ifyou have patience and determination, you will find a solution. right now i have sansha recital pointe shoes which said are great for Grecian foot... but i dont like it that much i got soo many blisters and its hard to go turn en pointe... what would you suggest the best pointe shoes for grecian feets like mine? When your second toe is longer, it is called a “Grecian foot”. There are various ways for ballet dancers to work with this foot shape. There are also handy techniques such as, putting tape on the tip of your big toe to match the length of your second toe. If you are not satisfied with you sansha recital pointe shoes, then it is worth experimenting with different brands. You will have to take particular care when fitting your ballet pointe shoes. Make sure your shoes fit the length of your second toe, not your big toe. For dancer's with the Grecian foot, it has been said that the Grishko 2007 series is a popular choice. Also Capezio offers the Contempora and the Aerial. You may find the majority of pointe shoes still give you pain at first, but it will just take time to recognize your particular pressure points so you can so tape your toes in certain areas to protect them from blisters. Keep determined to find a solution and I am sure you will find the perfect ballet pointe shoes. It takes patience and willingness to experiment, so you can do it! Are my feet okay for pointe? I have heard that if your toe next to your big toe is longer, that you can not dance en pointe. Mine is not extremely longer, but would I be able to still dance in pointe shoes? Thank you for your query, it’s great to hear from you. Your feet will be fine for ballet pointe shoes; you will just need to learn the different ways to manage your foot shape. When your second toe is longer, it is called a “Grecian foot”. There are various ways for ballet dancers to work with this foot shape. You will have to take particular care when fitting your ballet pointe shoes. Make sure your shoes fit the length of your second toe, not your big toe. There are also handy techniques such as, putting tape on the tip of your big toe to match the length of your second toe. Do not worry, as you can see, you will still be able to dance in ballet pointe shoes. It will just mean you have to be aware of finding the right ballet pointe shoes and taking care of your feet. My teacher said that I could go on pointe this fall! I am 11. The problem is that I have wide feet. What shoes are best for me? Congratulations you will be able to start pointe! This is a fantastic achievement, you must be very happy. Don't forget, starting to wear ballet pointe shoes is an important stage for every dancer. Not just your dancing needs to be ready, but also your mind. You can take full responsibility of knowing the ins and outs of pointe work. Pre-pointe training will support you with the essential details you need to know. I also had wide feet as a dancer, so do not worry. You will be able to find suitable shoes, but you just have to be aware of the width sizing. My first pair of pointe shoes were Bloch and I do recommend these shoes. They are good for dancers just beginning in pointe because they are strong, supportive and have many different styles within the brand. If you have wide feet, I would suggest Bloch Aspiration. They are available in many different width sizes and are generally quite square, so good for dancers with wide feet. Take a look a my bloch pointe shoes for extra guidance. I wish you all the best with starting to wear pointe shoes. It is a magical and exciting stage, so enjoy this moment and continue to shine in your dancing. Always remember, the secret to success is mental discipline as well as physical ability. 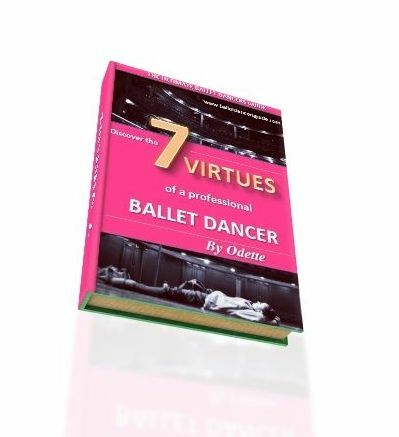 Along with the three physical secrets, the Seven Secrets, on the 'Seven Secrets of Ballet' page, will give you the key answers of how to thrive in the ballet world.